In today’s world, building and rebuilding are facts of life – from wider roads to larger housing complexes, bigger buildings, and revitalized downtowns. While these changes to roads and buildings are highly visible, within every project is an often-underemphasized component – the utility infrastructure. 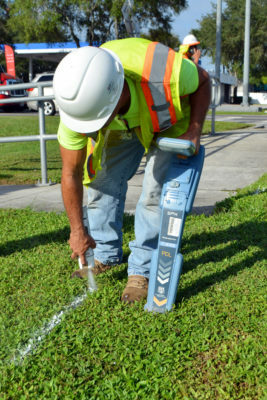 An electromagnetic locator can be used to locate metallic pipes and cables. Utility infrastructure includes potable water, sanitary sewer, gas, electricity, telecommunications, and stormwater conveyance. As our world grows, the demand for these services continues to intensify. These additional utilities have ramped up the stress on America’s rights-of-way, where most of these lines are buried in a complex web of pipes and conduits and cables. A utility strike by a contractor during construction can cause significant disruptions and pose the threat of injury or even death. Traditionally, trying to prevent these kinds of problems is addressed when the contractor that is working with the utility uses a “call before you dig” type of hotline service. However, more recently clients are using subsurface utility engineering, otherwise known as SUE, to get more reliable information about where utilities lie beneath the surface of their projects during design and construction. Using SUE services helps projects stay on schedule and within budget and also protects the safety of workers and the public. In a nutshell, SUE data is good insurance. It confirms what is known about a site (or what is unknown), and it also could be the most valuable, cost-effective, and accurate method to make sure a project is built safely, on time, and within budget. For these reasons SUE has increased in popularity in recent years as a proactive method for engineers and contractors to avert risks associated with construction projects. Quality Level D: Reviewing existing utility records and as-built plans. Quality Level C: Visual survey of aboveground utilities. Quality Level B: Uses surface geophysical methods such as electromagnetic locating or ground penetrating radar to designate the existence and horizontal position of all utilities. 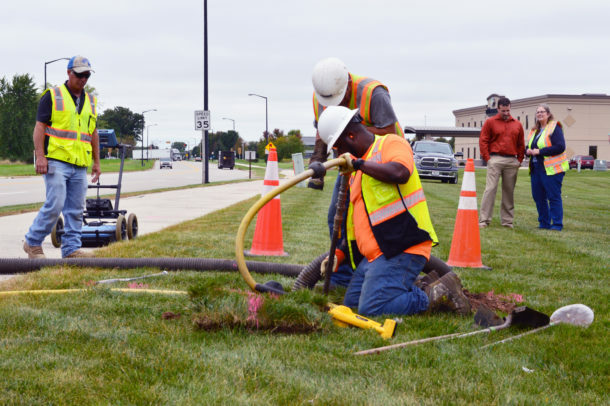 Quality Level A: Providing information for the precise plan and profile mapping of underground utilities through the nondestructive exposure of underground utilities through vacuum extraction. While many contractors and engineers rely on utility locating services for information during design and construction, this method is changing as each state has its own set of rules regarding utility locating. One-call locator services are typically conducted without a complete picture of all the utilities at a construction site, are often conducted by multiple people working for different utility owners, are conducted with limited pieces of equipment, and are only capable of providing an approximate and incomplete picture of the utilities at a site. The full use of SUE includes the depiction of the underground utilities on design plans and sheets, evaluation of conflicts, and conflict abatement during the design phase. Vacuum excavation removes soil above utilities so that visual confirmation of the utility’s location can be attained. A ground-penetrating radar locating device resembling a lawnmower is also visible in this photo. Many studies have determined that investing in this work during design delivers savings by reducing construction delays and claims. This distinction has led the American Society of Civil Engineers (ASCE) to standardize SUE practices nationally with the creation of its “Standard Guideline for the Collection and Depiction of Existing Subsurface Utility Data” (CI/ASCE 38-02). 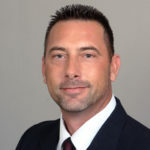 This move has been endorsed by the Federal Highway Administration (FHWA) and the American Association of State Highway Transportation Officials (AASHTO). SUE services are being implemented as standard procedures during the design phase of roadway projects by state roadway departments in Florida, Texas, North Carolina, Virginia, Maryland, Georgia, Ohio, New Jersey, and, recently, Colorado. Colorado’s new law (SB18-167) was signed in May 2018 and became effective in August 2018. Its purpose, as in several other states with similar laws, is to shift the workflow to the start of project design to increase public safety and reduce utility-related costs and risks throughout design and construction. The law requires that the work be completed by someone licensed as a utility engineer. 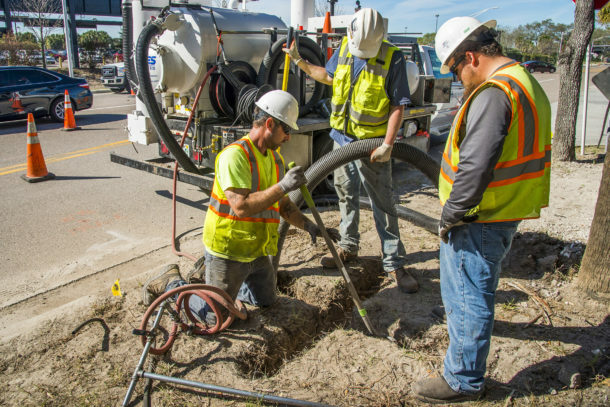 Vacuum excavation provides the highest level of accuracy in locating utilities because it allows visual confirmation through the removal of soil directly above the facilities. As more states start enacting similar SUE laws, it’s apparent that this type of work is seen as a benefit to clients and the public. The money spent up front is being viewed as worth the investment. An FHWA-Purdue University study in 1999, using a sample of 71 projects in four states, concluded that acquiring SUE data for construction projects provided a return of $4.62 for every $1 invested. Factoring in today’s costs for construction delays, lawsuits, and disrupted services, the return on investment could be much higher. 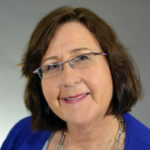 Janice Ash, PE, is Ayres Associates’ national director for CGP (communications, gas, and power) and SUE, and Michael Wolf is Ayres’ SUE leader.